Newly engaged couple Orlando Bloom and Katy Perry hold hands while making their way across the festival grounds at the 2019 Coachella Music Festival on Friday night (April 12) in Indio, Calif. The 42-year-old actor and the 34-year-old singer were spotted rushing to check out Childish Gambino‘s headlining set that evening. Katy and Orlando were seen engaging in some major PDA while enjoying night one of the festival. They wrapped their arms around each other while sharing a passionate kiss at one point. Katy Perry & Orlando Bloom Take a Motorcycle Ride to Dinner! Katy Perry Accidentally Calls Orlando Bloom Her Boyfriend! 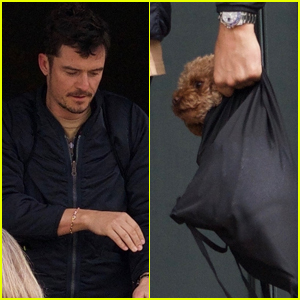 Orlando Bloom Brings Dog Mighty to Lunch with Him! Katy Perry Reveals on 'American Idol' How She & Orlando Bloom First Met! Katy Perry & Orlando Bloom Attend Jay Z & Beyonce's Oscars Party! 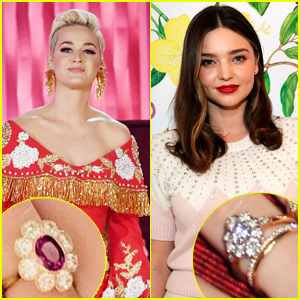 Did Orlando Bloom Give Katy Perry a Ring That Is Almost Identical to Ex Miranda Kerr's Ring?